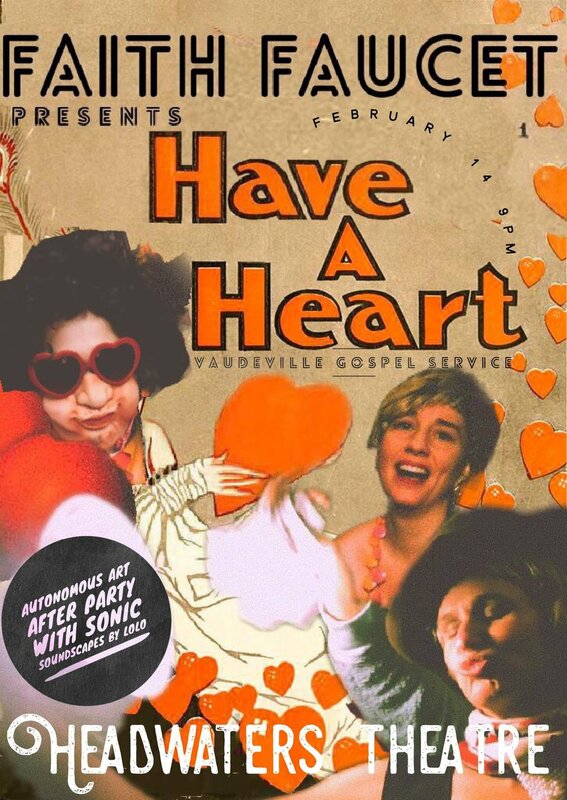 Have A Heart Vaudeville Gospel Service is going to be the sweetest loviest fluffiest silliest Valentine's show in Portland. If you have never experienced one of Karla Mi Lugo’s Faith Faucet sermons, this one on the theme of love, is a MUST. Local artists Mizu Desierto and Kelly Nesbitt will also be sharing the stage to offer special ASMR, human carwash, and butoh aerobic experiences + some gravity defying choreography...and then to wind it all up, YOU get to create your own Autonomous ART party into the night...with sound support from Loren Halman (lolo haha). We can’t wait to love it up with every one of you! ❤. Please come and please share!